Q: What is the “My Legacy” wall? 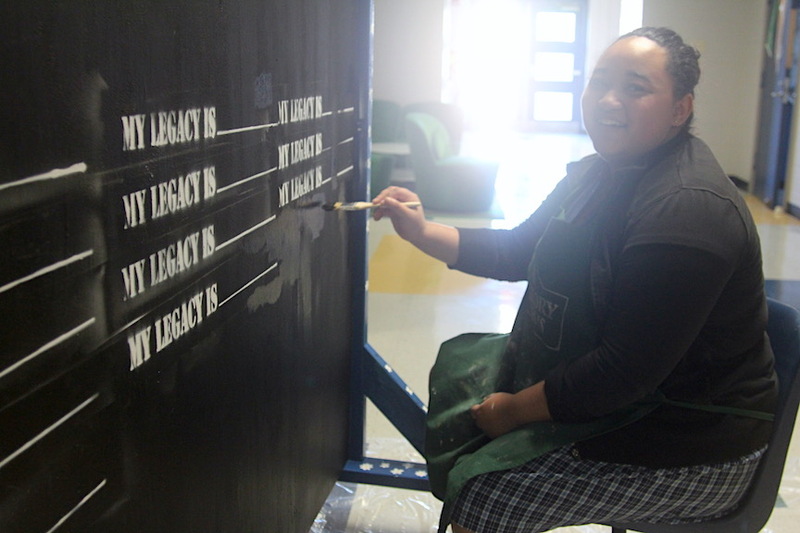 A: “My Legacy” wall is a service project that I created along with the Service Ambassadors. 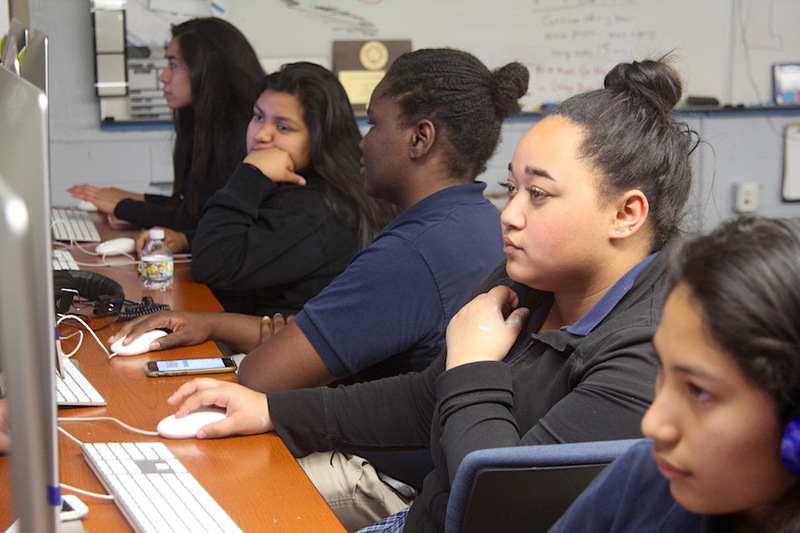 We connect our school with service opportunities. I wanted to do something art related, interactive and social media based after noticing that our school did not have a lot of murals. Q: What inspired you to create the “My Legacy” wall? A: One winter break I went to New Orleans and I saw the “Before I die” wall, which is a chalkboard wall where people can fill it in with whatever they want to say in the blank space. That wall is the inspiration behind my piece because I wanted to create something that means something to Ann Richards girls. 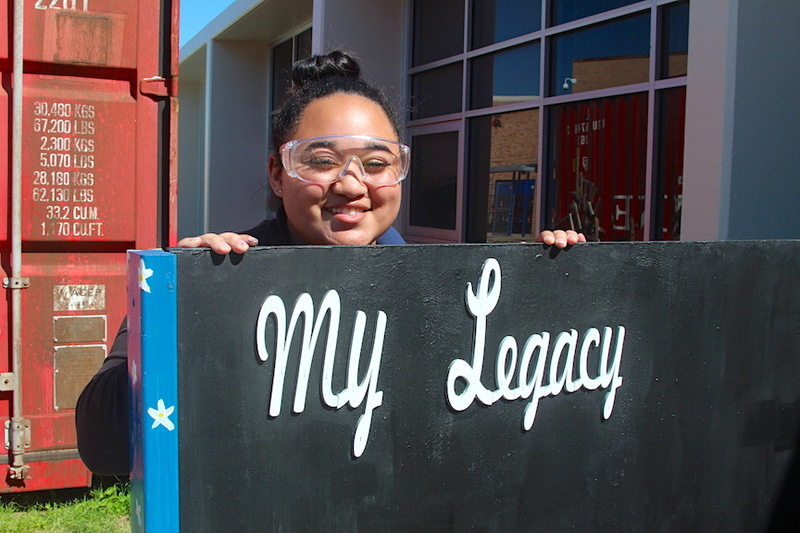 Q: How did you make the “My Legacy” wall and what does it mean to you? A: I went after-school to the MakerSpace and constructed it with Mr. Oren. It was cool, I learned how to use the different hand saws and drills. Once I finish it I want to put my legacy on there in paint so it is there forever so everyone knows my legacy. 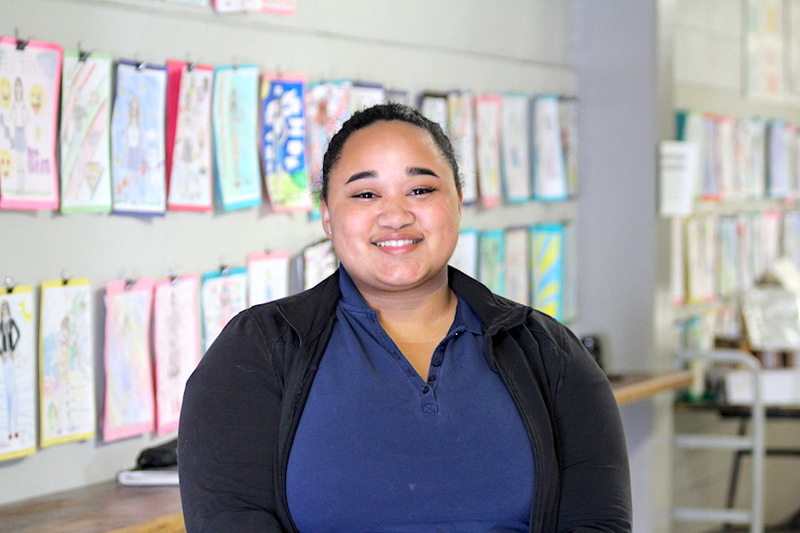 I feel like I want to leave an imprint on this school, whether it is making a mural, creating a new organization or everyone knows me from just being myself.